What does 11:11 mean when we catch it on our phone or a digital clock? Is 11:11 a mere coincidence or is there something bigger happening here? …some folk catch this magical number more than others! As I started to awaken, I began to see this number all the time. I believe it is to do to with synchronicity. 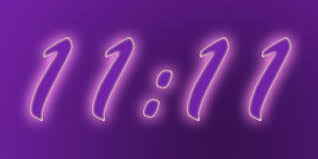 Many of the clients that I give Angel Readings to are also seeing 11:11. For me… another window started to open up in my life… it was my Angels offering me guidance and a new direction. So I left my 9 to 5 local authority job and am now doing what I love… counselling and passing on messages from my Angels – and feeling very humble that I am in this position to work with the Angelic Realm in this way. Ask for the guidance from your Angels when you start to see 11:11 or other sequences of numbers 222, 444, 1234 to find out what message there is for you. Maybe pay attention to the moment when you see these Angel Numbers; to what is going on in your surroundings. Maybe when we see 11:11 we should simply stop and recognise the significance of the moment. To me… it is a friendly sign from the universe; my soul; my higher-self… saying that everything is in alignment and I am exactly where I am supposed to be at this moment in time. 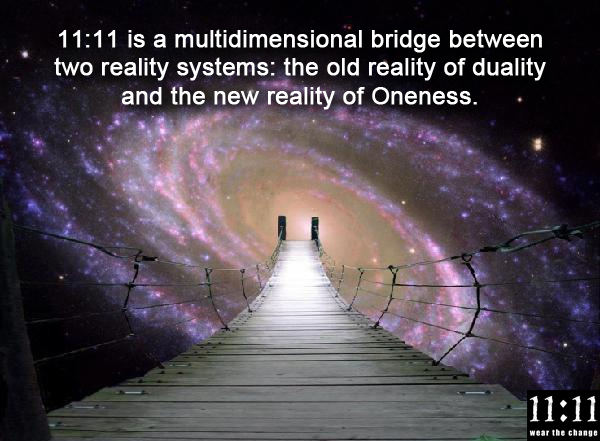 I have read that seeing 11:11 can be seen as a glitch in the matrix and a way for the spirit world to communicate with us. I don’t know if we will ever find out exactly what it means. Find out what it means for you. I know I always smile whenever I see 11:11… and it makes me feel that my life is moving in the right direction.